I have to thank Jim Goldstein for the idea of sharing a look at my favorite photos from the previous year. With it cold and dark outside, it is a nice time of year to stop for a minute to reflect back on the previous year. The constant pace to produce new material usually has my attention directed towards the future, but when I take the time to look back, I’m always amazed at the wonderful places and experiences I have been blessed to have witnessed in the previous year. 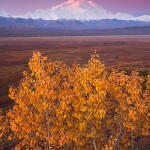 Great light, colors and subject – from my fall trip to Denali. Brown Bear, Lake Clark National Park, Alaska. This was from my Alaska bear photo tour last summer – we had a few great sunrises! Seven Sacred Pools or O'heo Gulch, Haleakala National Park, near Hana, Maui, Hawaii. Sunset at the wonderful Seven Sacred Pools from our Fall trip to Hawaii. Dall Sheep, Denali National Park, Alaska. On this trip to Denali I captured a few landscape images from this location – seeing and photographing a ram in such a beautiful setting was a real treat. Enjoying Hanalei Bay, Kauai, Hawaii. Something different for me that received a big response. This was from an over-night trip last summer into a place I love to photograph – Chugach National Forest. Another one from last summer’s bear tour – already excited for next year! I had a very limited collection of caribou photos so it was one of the subjects I concentrated on in Denali this fall and I think it paid off! This was one of our overnight anchorages from my Kenai Fjords National Park photo tour last summer. This was taken fairly near my home in Seward, Alaska. I try to limit my selection to just 10, but I’m never successful – so here are some more that received some serious consideration. Las Vegas Strip, Las Vegas, Nevada. I do a fair amount of travel photography and considering this has already sold a number of times makes it a strong candidate for the top 10 list. Brown bear, Chugach National Forest, Alaska. I like both these bear images and could have had 4 in my top 10! This is a challenging bird to photograph and part of the reason I like this image – plus, it is a cute little guy! Burrowing Owl, near the Salton Sea, Imperial Valley, California. An un-named cactus forest, Anza-Borrego Desert State Park, California. Hotels along Waikiki Beach, Honolulu, Hawaii. Two more from our Hawaii trip that I considered. OK, that is enough! I hope you enjoyed. Another amazing year of photographic work Ron! As usual, your favorites are an amazing collection, but your Brown Bear at Sunrise silhouette followed by Seven Sacred Pools are my favorites. Hope your off to a wonderful 2012! Excellent Ron! I like the sharp contrast between Alaska and warm weather locations. The Hawaiian girl is my favorite. I could only wish to get such a fitting image from Hawaii. Stunning set of images Ron. Your Rainbow over Kauai is worthy of the top 10. Always inspiring! Great selection! Wish you an inspiring new year! ron, i’m with michael nethery — your beautiful work lifts my spirit every time! still undecided about alaska vs. hawaii this year, but i’m beginning to lean toward maui… could have something to do with the 15″ of snow that dumped in the last 24 hours and zero temps! thanks again for all the beauty you share with us. Fabulous collection here Ron. I really like your use of light and colour. Never enough, Ron! The two photos of the brown bear at Lake Clark stand out for me, and the American Dipper bird. And…. My mind is boggling on just what 2012 will bring! Can’t wait to see! 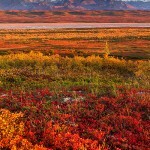 Denali in the fall with sheep, caribou, or just the landscape has my vote. But I would acutually like you to feature your top 100 because I enjoy looking at your photos so much! Thanks for sharing, and keep it up! So many beautiful shots its hard to select a favorite. I guess I might be biased but my favorite landscape shot is the Northwestern Fjord sunset shot. What a great spot and trip! My favorite wildlife shot is the clamming bear drenched in golden light. Great atmosphere and mood on that one. Hope you and Janine have a healthy and great 2012! Thanks so much for all the comments! 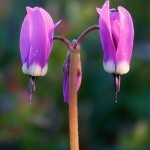 It is interesting to hear which images are preferred and the variety of opinions – thanks! @ wayne I know why that is your favorite – glad you were there! Beautiful collection of images, Ron — both the selections and the honorable mentions! I think what stood out to me the most as I went through them is the use of bright colors in your top 10. Each one has such a bold and lush color palette and is a true celebration for the eyes. Congrats on such a great 2011, and here’s to even more in 2012! @ Pat Thanks! Seeing these certainly confirms by attraction to bright, bold colors. @ Mark Thanks! You are scoring points with my favorite model! Thanks Jim! I get asked that a lot and will try to be better about sharing my setting beginning with today’s post. It’s been a while since I’ve commented here and that’s a shame. I always enjoy seeing what you are up to. Besides, several photographers who I respect, Richard Wong being one I can remember now, have spoken highly of your teaching and workshops. I love Alaska and you make it real all over again for me each time I see your work. In this set I like best the Brown Bear against the golden background and of course being a red blooded American male, it’s obvious which other one is very fine to look at. You described your making of that photo as getting up the nerve to ask her to model. I suspect, but maybe this is just a feeble attempt at humor, that what took the nerve getting up was asking her in front of your wife.